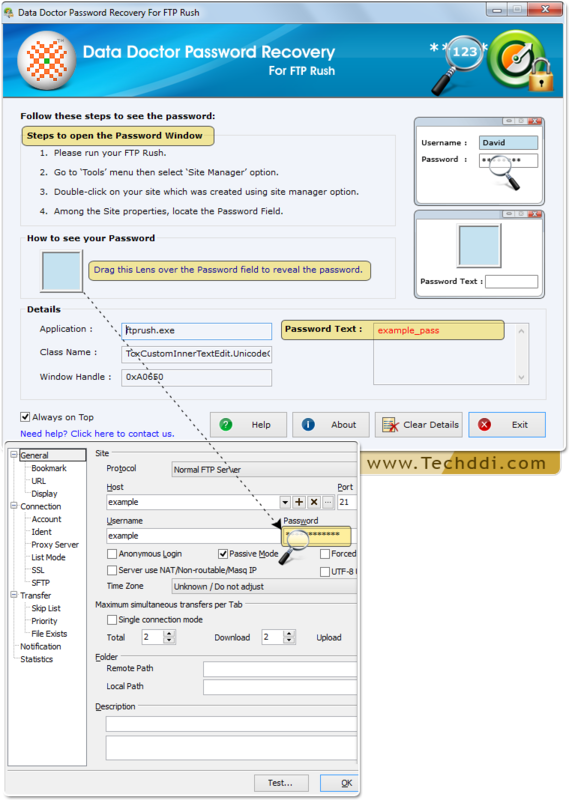 Password Recovery For FTP Rush easily retrieves lost lengthy and special character passwords from FTP Rush. Password restoration tool provides instant recovery of hidden and complex passwords. 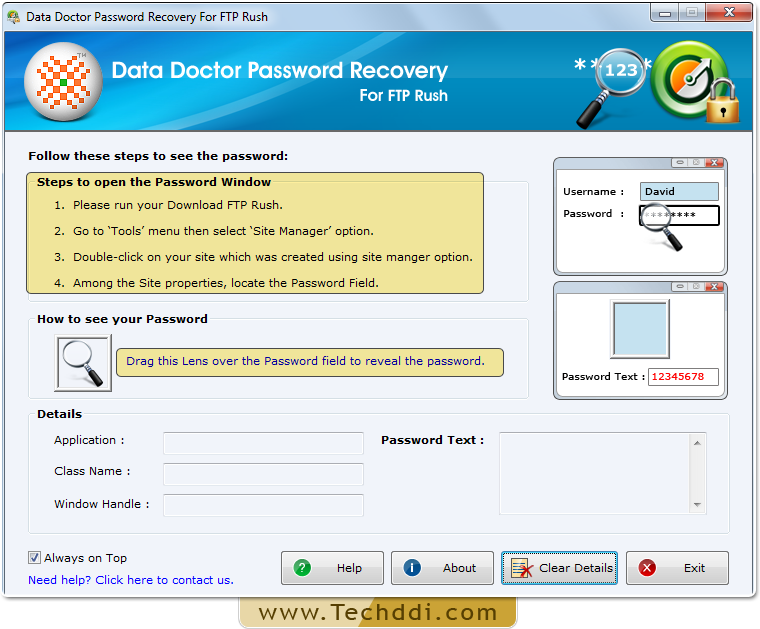 Retrieval of Password using Password Recovery Software For FTP Rush. Install Password Recovery For FTP Rush. 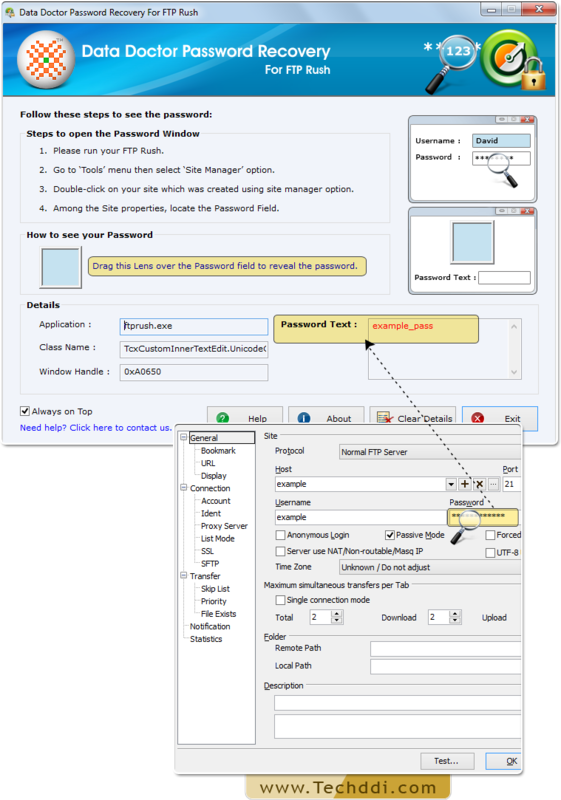 Open FTP Rush Software and Select ‘Site Manager’ option from ‘Tool’ menu. Double click on your site that is created using site manager option. Now, you can see various site properties along with password field. Drag lens to locate password field, among site properties. View your recovered password in ‘Password text’ field.